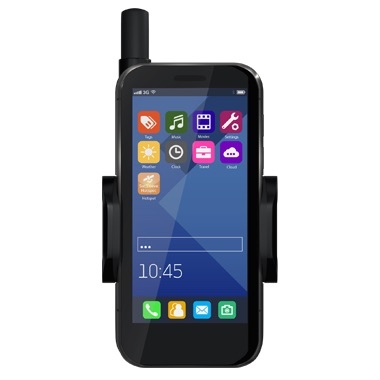 Turn your smartphone into a satellite phone! The next generation of adaptor for your smartphone has arrived. Available in 2 different models to suit how you use your phone while outside mobile coverage areas, the SatSleeve allows for voice calls, SMS, email and app access while you’re off the grid. Use your smartphone in satellite mode when you are outside mobile coverage areas. The SatSleeve Hotspot and SatSleeve + are simple to use, just connect your smartphone and SatSleeve via Wi-Fi through the SatSleeve Hotspot app to stay connected. Download the free SatSleeve Hotspot App from the App Store or Google Play. The SatSleeve Hotspot and the SatSleeve + come with a dedicated SOS button that works even when a smartphone isn´t connected. High Penetration Alerting (HPA) capability enables you to receive calls even if the satellite antenna is retracted. Created for users preferring to use their smartphone separated from the satellite unit, the SatSleeve Hotspot gives you the range and room to move while you use your phone. The SatSleeve Hotspot sits with line of sight to the satellite (in an outside location) while you can be inside making calls, sending and receiving SMS or using satellite data for email, apps and browsing the internet. Use your smartphone when it is connected to the SatSleeve using the SatSleeve +. This SatSleeve model is similar to the previous SatSleeve for iPhone and SatSleeve for Android models, however its universal adaptor fits almost any latest model smartphone between 58 and 85 mm in width. Satellite communicator that allows you to type, send and receive, track and SOS all from the palm of your hand! Reliable handset Complete global coverage. Phone plans available, See description. Critical, life-saving communication using 100% satellite technology.